Discussion in 'Audio Hardware' started by Cyclone Ranger, Jan 15, 2019. This poll will close on Jul 15, 2021 at 1:13 PM. Poll will be up in a minute. Pick your Top 3 'tables for (more or less) a kilobuck. – '$1000-class' is $700-1250 USD. Yep, that's arbitrary, and so's life. – Price is MSRP and for new 'tables, not used/open-box/demo/discontinued/'special double-secret under this phase of the blood-moon only' sale-priced 'tables. I also don't care about your damn coupons. – Price is w/arm, which doesn't really matter, since nearly all 'tables in this class come with one. – Also doesn't really matter if the 'table comes with a cart and/or phono or not, the total package price determines. – Yep, the poll is US-centric. But nearly all of these 'tables are available in the EU and Asia, albeit for slightly different prices than US. – Yes, the Schiit Sol and Technics SL1200Mk7 aren't out yet. But if you're a big enough fan that you know you're gonna buy one and/or feel you have a good handle on how good they're going to be, go ahead and vote for 'em. No one's going to come to your house and berate you for it. – "I'm pretty sure there's a bunch of Pro-Ject and Thorens TTs you forgot!" Didn't forget 'em. Pro-Ject and Thorens have more models than infinity, and it isn't fair to let them dominate the poll based solely on # of models. I tried to include their stronger ones. – "You forgot Dual!" Dual doesn't sell in the US, I think. Feel free to post about it if I'm wrong. – "You forgot Mondo Obscuro Turntable X, dang it!" Choose 'Other' in the poll, and post about Mondo Obscuro Turntable X in the thread. – "Do I have to vote for the best-sounding one? Can I vote for the best value? Or the one that best matches my decor?" I sure can't stop you. – "Why do I get to vote for up to three choices?" Because life is a mystery wrapped in an enigma slathered in secret sauce. And because sometimes it's very close between your top picks. You don't have to use all three picks either. Maltman Somewhat grumpy, but harmless old man. Rega Planar 3, Technics SL1200Mk7, Pro-Ject Classic. rcsrich, Stone Turntable and Cyclone Ranger like this. I'd not seen that Audio-Technica turntable before. Nice unit and good value: $800 with mid-line A-T cartridge, dust cover, and internal pre-amp. Great looks. I like it! muckyfingers, enfield and Maltman like this. I voted the Pioneer, but would have voted Technics 1200MK7 if $1K or less. I do not know the US price. I was tempted to vote for the MK7, but I figured they should get into the wild first. Not really an AT fan but that is a good-looking 'table. apesfan and Dennis0675 like this. We have no idea about the Mk7 other than pedigree. I'll reserve judgement. I went with the Rega and MoFi. At this price point the tables are more alike than they are different. I would stay clear of anything with an internal phono, I’d rather have that money invested in a better table or cart. David M., Dan Steele, Kyhl and 1 other person like this. Nice thread idea, Ranger! It's quite a list actually. I suspect the "easy" among us would be happy with most off them- 2/3 to 3/4 of them, I'd think. If four could be sent to my house for trial, I'd want Rega, MoFi and Technics along with the Cliffwood. Since no one on God's Green Earth has seen fit to review the Cliffwood, I guess an ignoramus like me would be forced to take the gig. One nit- the NAD (the Pro-Ject "Frankenstein" creation) that is $800 is the C588. That's one I wouldn't want for that money. It looks like you get a speed control that only marginally improves the specs on the $500 C558. And they throw on the 2M Red; I join Ranger in wanting to toss it immediately. The 558 has acquired some rather nice reviews, though. Apparently, it's a bass champ and responds nicely to a cart upgrade. Thanks for the kind words, Morris. Yah, I think polls/threads like this can be very helpful, especially for those new to vinyl or curious about it, since this is a KEY price point for turntables... i.e. the class right above entry-level, where you start to get better sound, and begin to get your first small glimpse of what the analog hype is about (assuming good setup/isolation/equipment choices, of course). And thanks for the heads-up about the NAD C588 vs C558, though they're very similar 'tables as you point out (exterior dimensions are the same down to the millimeter even). And, sigh, that damn Ortofon Red on the 588... that cart should be outlawed. Wonder how many newbies its turned off of vinyl? Only saving grace is you can put a 2M Blue stylus on it. But even then, for a hefty 80% of the price of a new Blue. Ugh. Finally, agree with you on the VPI Cliffwood getting no love/hype. Wonder why that is? It's a bit shocking that a VPI product is an also-ran in the poll so far, t0o. Poll results so far... Rega, Technics, and MoFi are starting to break away from the pack. VPI is underperforming a bit, surprisingly. And Thorens, NAD, Denon, Tri-Art, and TEAC are blanked so far. On a sidenote, my award for Nice-Looking 'Table I Didn't Even Know Existed™ goes to the EAT Prelude. Might be a sleeper in this price class. And my 'WTF is That?!?" award goes to the TEAC TN-420, a 'table I ran across that's too cheap for this poll. "Smoke 'em if you got 'em", eh? Dan Steele and SpeedMorris like this. I too decided to wait to evaluate the SL-1200MK7. I voted PLX-1000 and would vote MoFi Studio too but stepped back because actually the great reviews I've seen in the forum are of the Ultradeck. Haven't seen much about the Studio yet. Thorens which are truly worthy of the name today cost much more than $1000. The Denon and AT are not quite up to the Technics where it counts in the motor and tonearm departments, and on longevity. The cheaper Duals are sold as Thorens models. I voted for the VPI, the Sota and the Technics as best options. Also, the cheaper GEM-Dandy turntable should be on this list. I'm anxious to see, and read final specs and reviews on the final production version of Schiit Sol. 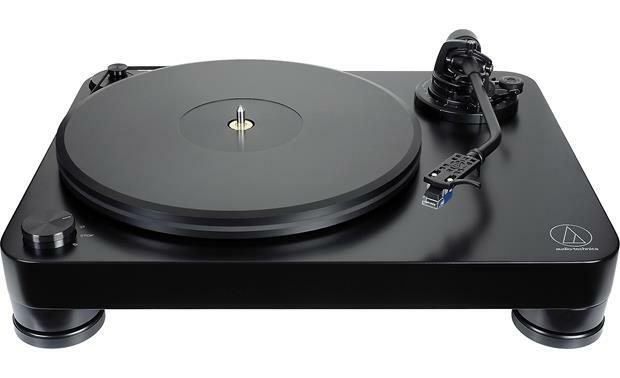 I was seriously considering dropping a goodly amount of money on a new cartridge that would really be above the level of my TT, but I think I may wait and buy a turntable in this category and equip it with a 2m Black. Also, the cheaper GEM-Dandy turntable should be on this list. Link? Can't seem to find any GEM 'tables/configs under $1495 w/arm, i.e. too expensive for the poll. (also, I think they've recently raised that one to $1595). I'm planning an upgrade in this range or a little above for this year. None of the tables other than MK7 interest me whatsoever. I will likely buy a MK7 or 1200 GR when the time comes. Fact is, I will not buy a turntable that doesn't have a removable headshell, period. That automatically eliminates many on the list. I also have no interest in a table that doesn't have electronic speed control, which further eliminates more of them. Anything with a built-in phono pre is also out. I also don't have the patience for multiple returns and exchanges to get a "good" Hanpin table (not to mention long-term reliability concerns) so whatever is left is also gone. Other people likely have other priorities and would be happy with several tables on the list. Definitely an intriguing design but over my budget once I add a Jelco 750 arm and the speed control. Since I'm a vinyl ignoramus I'd love to see the results, but I don't know enough to choose among those and vote. Would've been nice if one could view the results without voting. I didn't want to skew your poll results but okay. The biggest issue, imo, with the Cliffwood (and a number of other tables in this lineup, for that matter) is there is no VTA adjustment, which is a must-have feature... especially in this price range. For folks in the market for a table in this price range, definitely consider buying used. I just bought a new table and had a budget sitting just over the $1k mark. I ended up buying a used VPI Scout 1.1 on Craigslist, which retails in the $2k range. Huge value in hunting for good deals on used gear. Very interested to see how the Schiit Sol turns out. displayname and nosliw like this. Seconded. For me this is a mandatory requirement. The Technics is the only one on this list with this option which meets my durability, and reliability requirements in daily use, and has the features I need. And the build quality and QC I demand. I will most likely at some time, be back to a used SL-1200 Mk 2, 3 or 5. Robert C and patient_ot like this. You've tested all of these tables for durability and reliability in daily use? It won't, really. 'Other' isn't a brand.